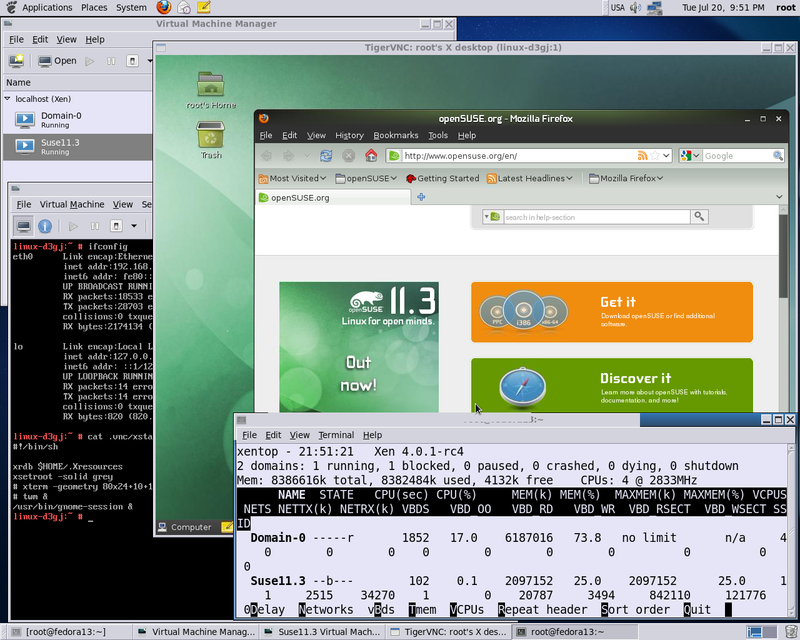 Install “kotd” (kernel of the day) via ftp://ftp.suse.com/pub/projects/kernel/kotd/openSUSE-11.3/x86_64/ kernel-xen-2.6.34.1-0.0.19.40d88ce.x86_64.rpm ( supporting udev 157). 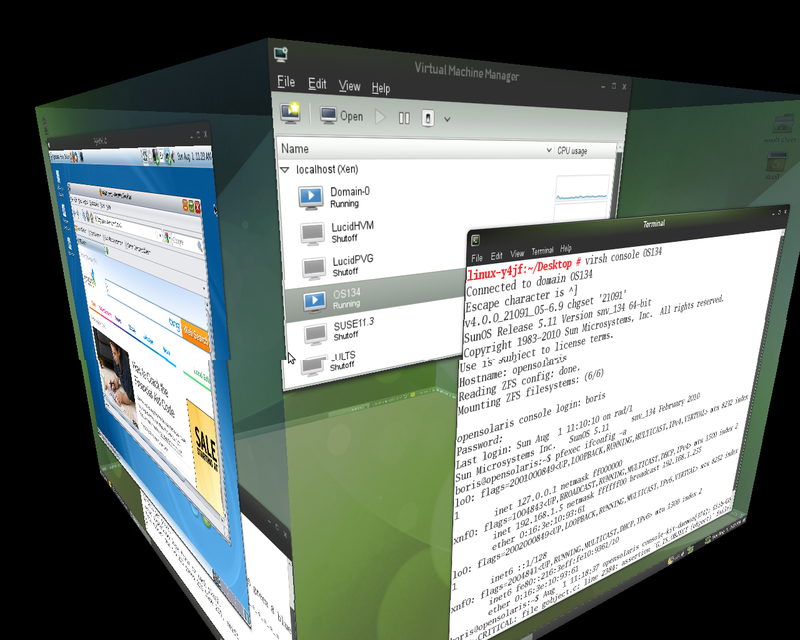 Next step supposed to be is to upgrade Xen 4.0 to support Lucid Grub2 syntax . What,actually, requires just one back port CS 21188 from xen-4.0-testing.hg, which is not in official 4.0 tarball been used for 11.3. The procedure bellow is pretty much standard and was described by me in details just to compare how much more flexible is patching Xen Hypervisor on Fedoras. In particular, all properly named by version rpms been built from src.rpm gets installed upgrading old ones right away with no questions and no additional zypper (yum) install run. 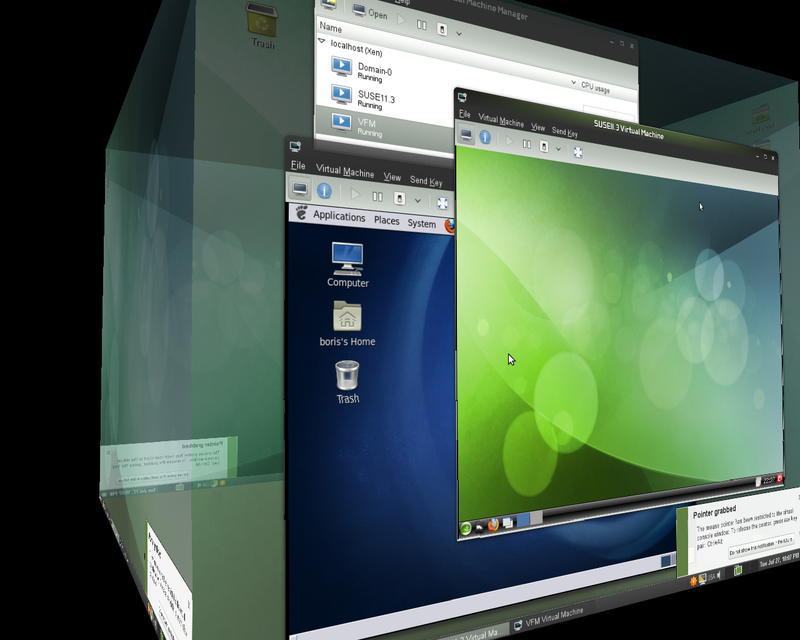 One more patch has been tested with Suse’s 11.3 version of Xen Hypervisor. It was ZFS 24 support per Mark Johnson (). 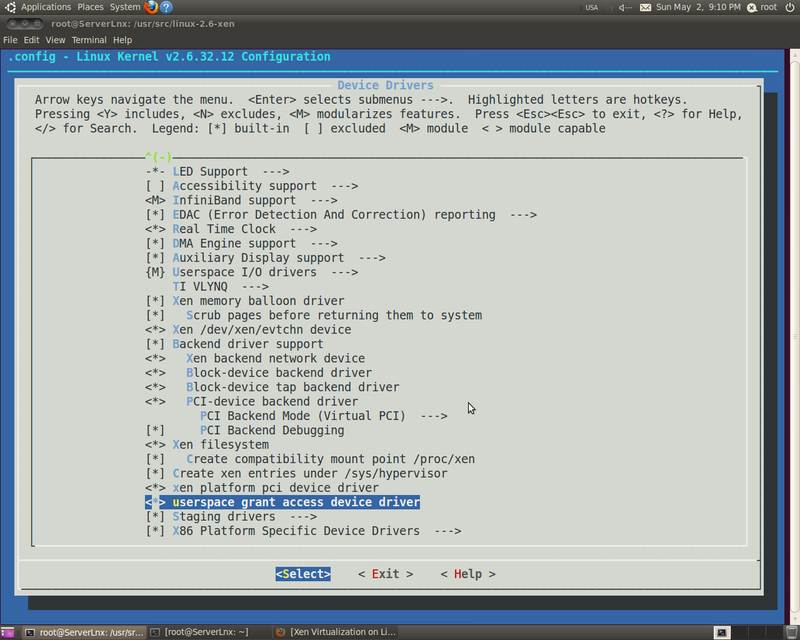 Hence, the last line should be removed from inst.sh for smooth Hypervisor upgrade. Overall download size: 14.3 MiB. After the operation, additional 10.0 KiB will be used. Well known Bugzilla Bug 1612 “Can’t start VM when vif set and udev version is greater than 151” () is also affecting xenified aka Suse kernel 2.6.34-12-xen. The workaround for the issue might be udev downgrade from 157 to 151. Following bellow is step by step description of this procedure on Opensuse 11.3 successfully fixed “Hotplug scripts not working” error. 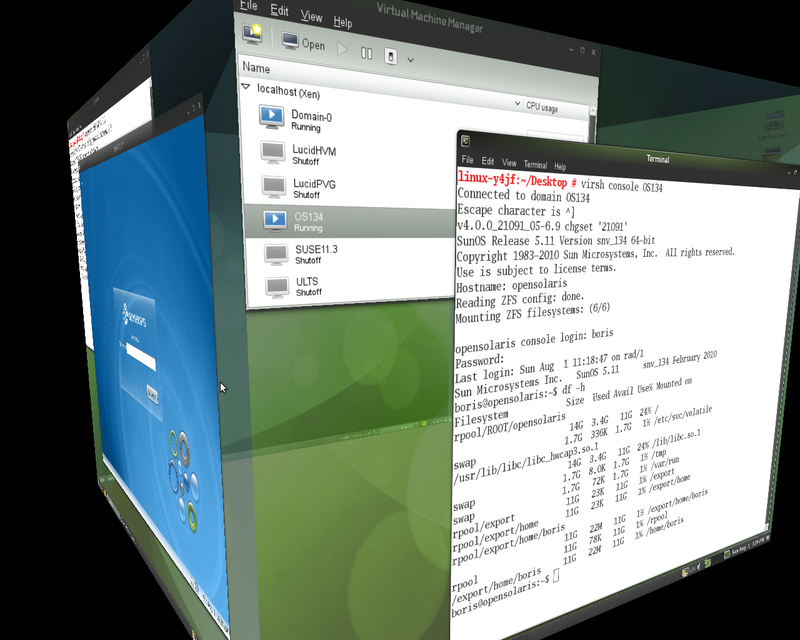 Appearance virt-install on Suse 11.3 properly working with Libvirt 0.8.1 also was a bit surprising. 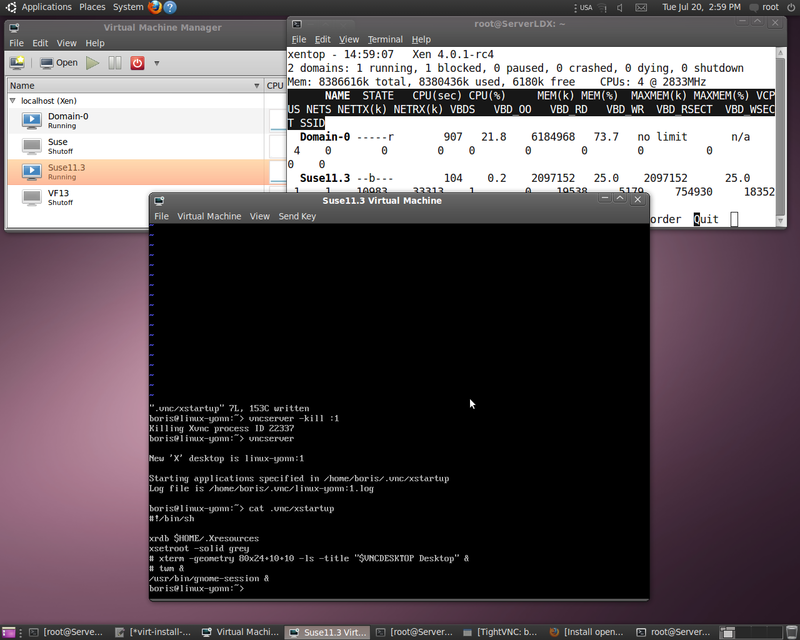 However, virt-install works only via command line. 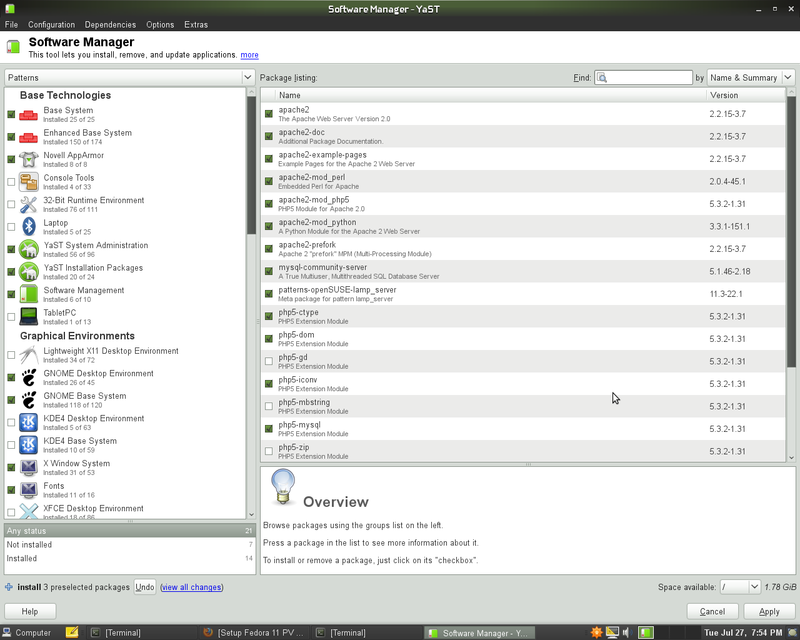 Virt-manager invokes old style GUI interface, which crashes same way as it did on 11.2. 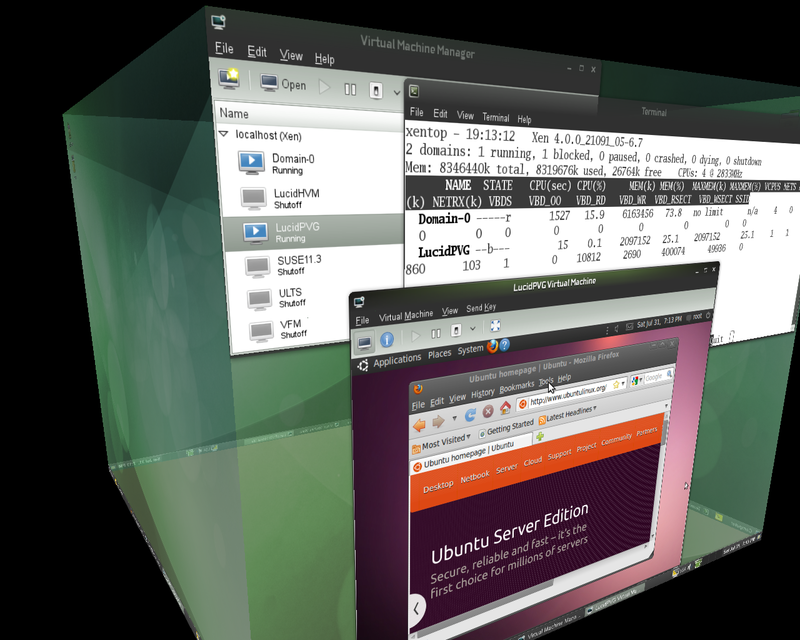 By some reasons 32-bit runtime environment has to be installed before downgrade. 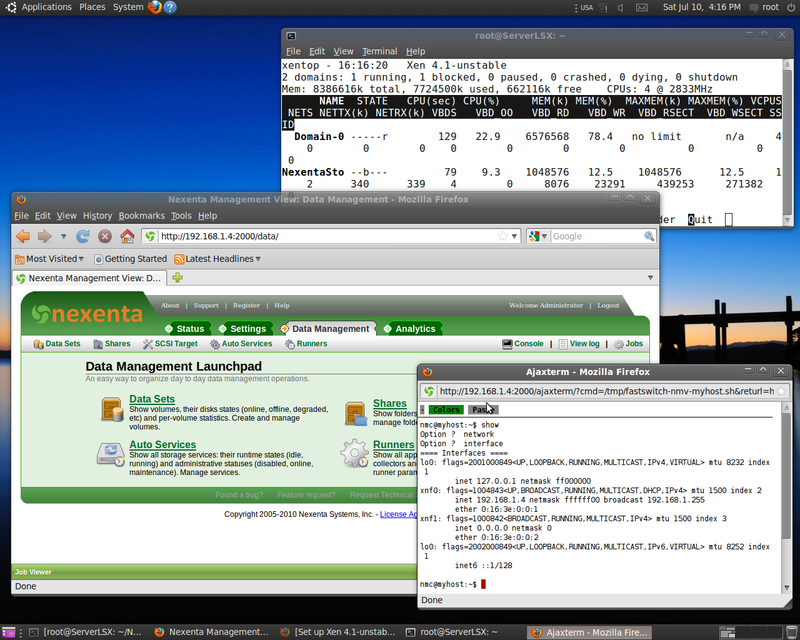 I’ve also installed Miscellaneous, LAMP, DNS+DHCP servers, C/C++ development, rpmbuild development . All two questions during installing 151’s rpms been built should be answered (1) – downgrade, what will result install 2 and downgrade 2 packages. udev-151-1.3.rpm has to be installed separately via “zypper install –force udev-151-1.3.rpm.” The procedure above seems to myself mostly as a hackery. 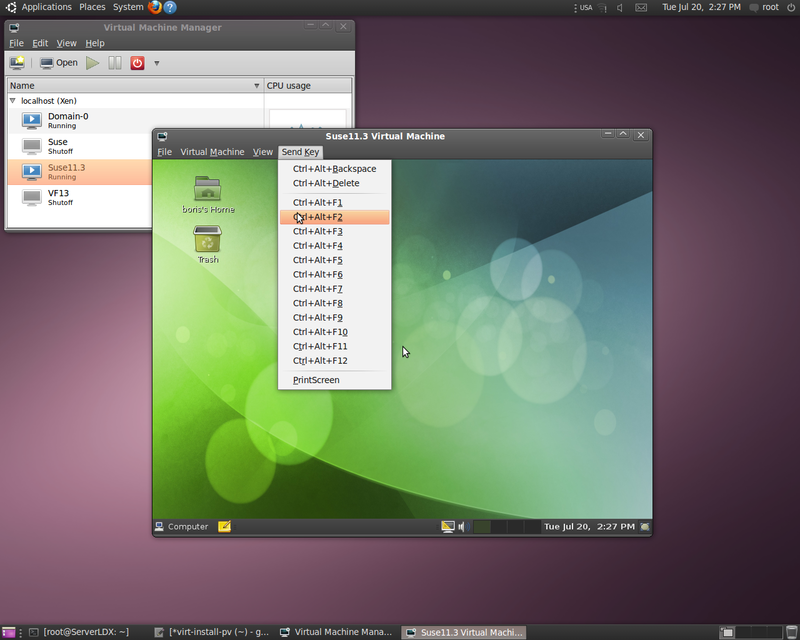 Mon, 26 Jul 2010 19:04:10 DEBUG Requesting virt method ‘xen’, hv type ‘default’. 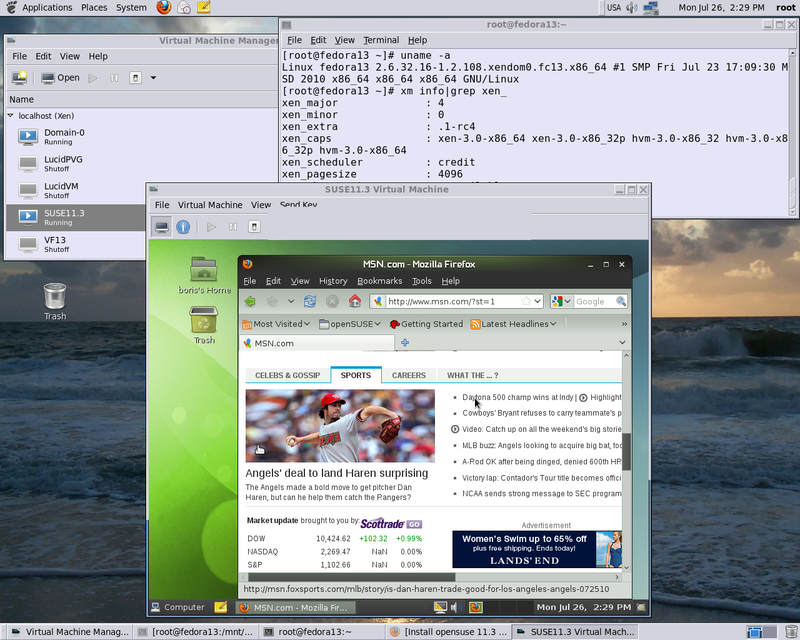 Mon, 26 Jul 2010 19:04:10 DEBUG Didn’t match keymap ‘english-us,pc104′ in keytable! Mon, 26 Jul 2010 19:04:10 DEBUG DistroInstaller location is a network source. 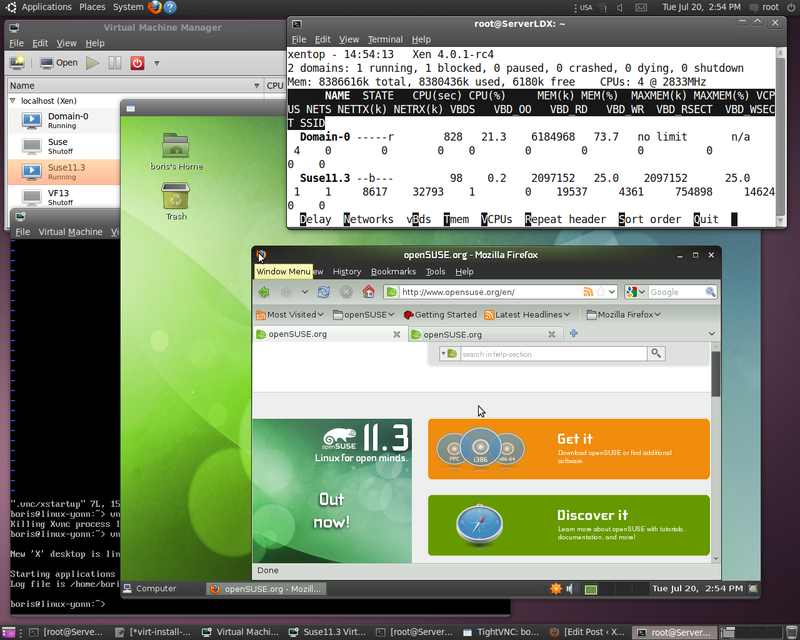 Opensuse 11.3 PV guest shows same behavior at Xen 4.0.1-rc4 (2.6.32.16 pvops) on top of Fedora 13 Libvirt 0.7.7. Notice, that 11.2 was impossible to install as PV Guest at all . 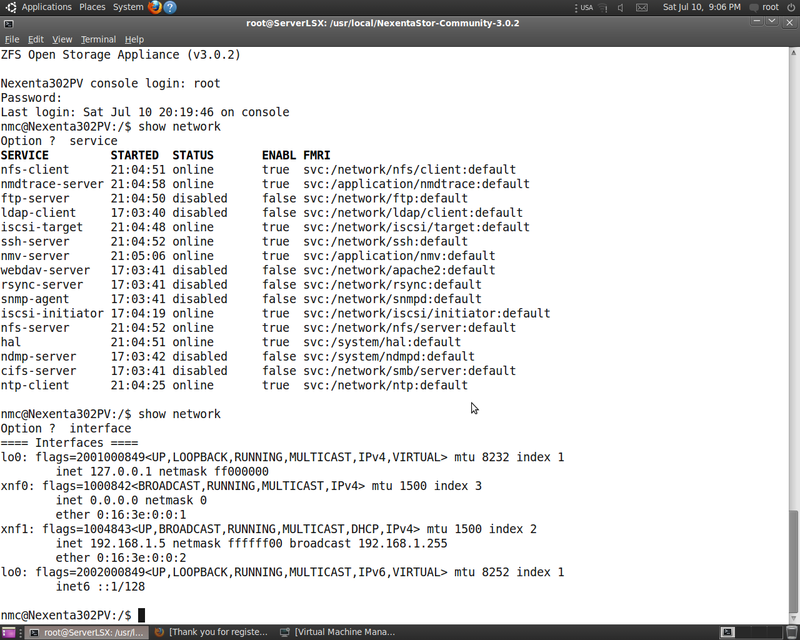 In meantime problem appears just to bring up vncserver at DomU and properly tune Firewall. 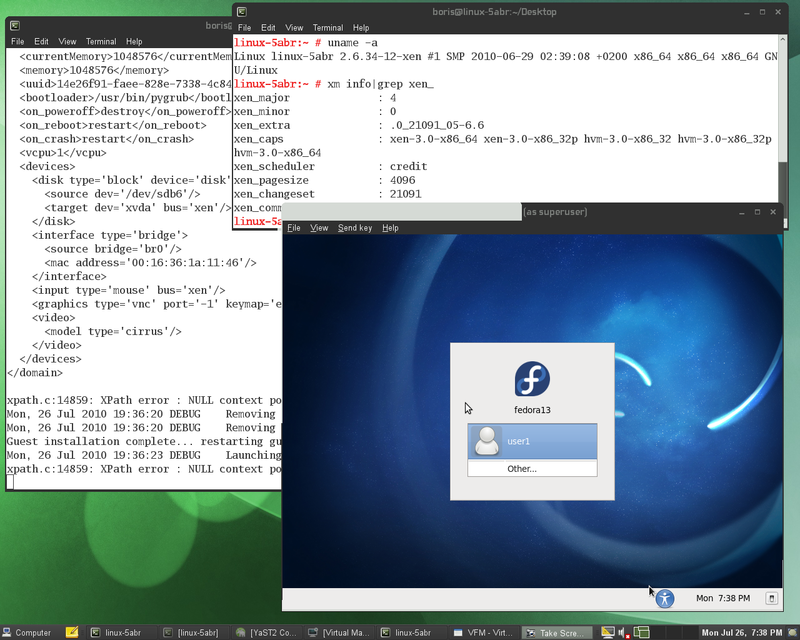 to find appropriate “/usr/lib/gdm/gdmgreeter” for [daemon] section of custom.conf to obtain Gnome Login to DomU failed. 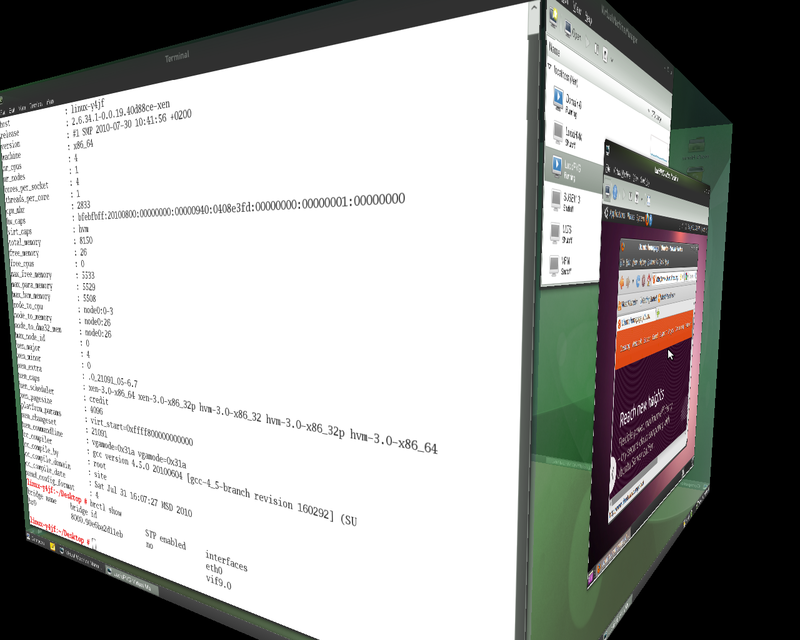 Mon, 26 Jul 2010 13:27:40 DEBUG Requesting virt method 'xen', hv type 'default'. 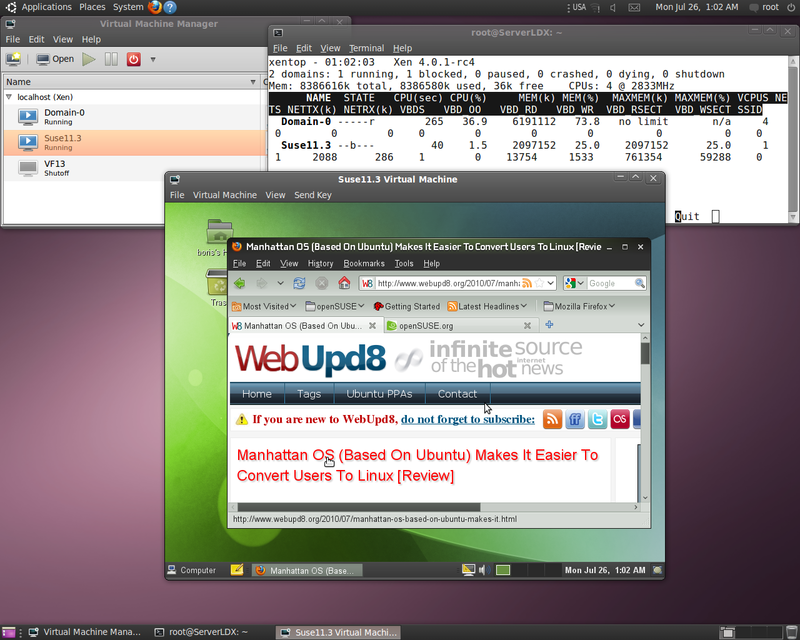 Mon, 26 Jul 2010 13:27:40 DEBUG DistroInstaller location is a network source. 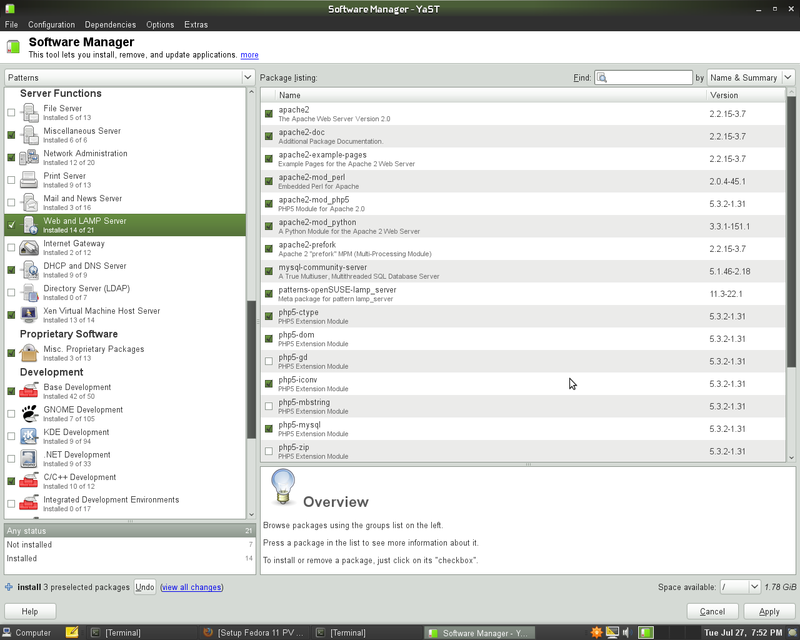 Mon, 26 Jul 2010 13:27:40 DEBUG Detected a Suse distro. 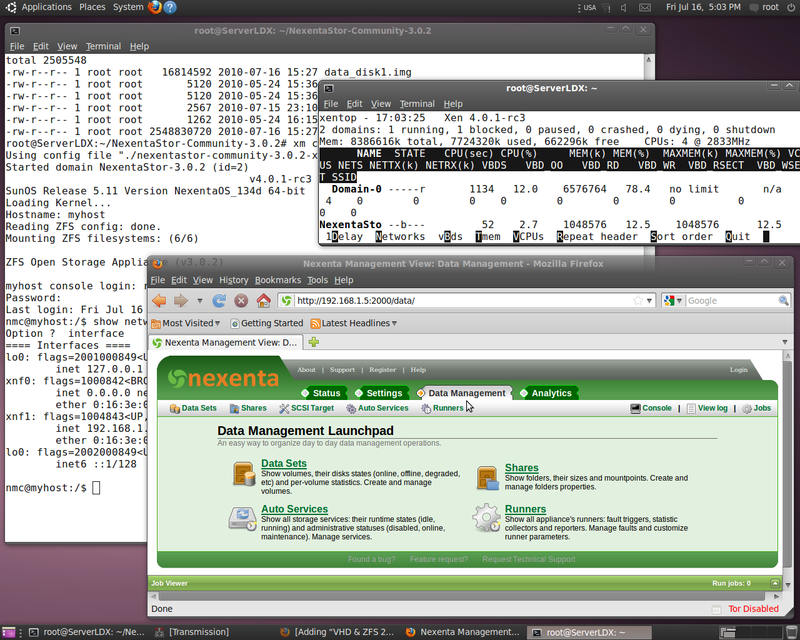 To test NexentaStor-3.0.2.xen.tar.bz2 at Xen 4.0.1-rc3 & 2.6.32.16 pvops Dom0 on top of Ubuntu 10.04 Server. Apply patch bellow to packageXen40x.sh.Notice , that 4.0.1 doesn’t support either ZFS 24 or VHD disk devices by default. 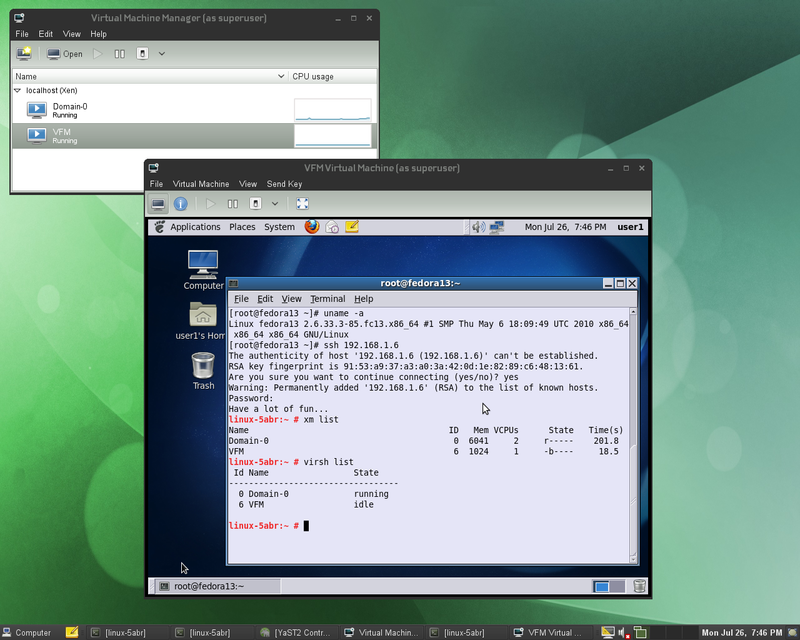 Two patches mentioned bellow ( for VHD support, ZFS 24 support) may be applied as usual to clone of http://xenbits.xensource.com/xen-4.0-testing.hg for straightforward Xen & Tools build and install. [ ! 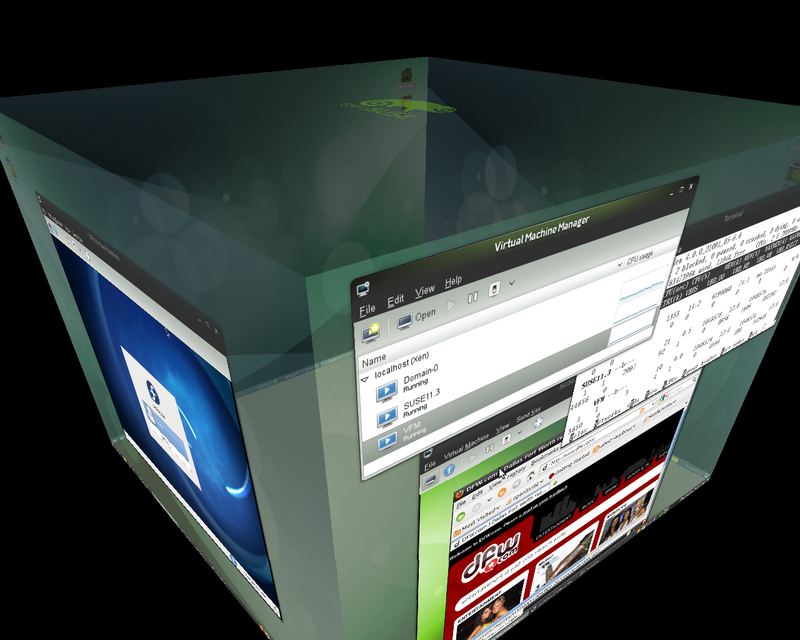 -d $REPOS -a -d ../$REPOS ] && ln -sv ../$REPOS . 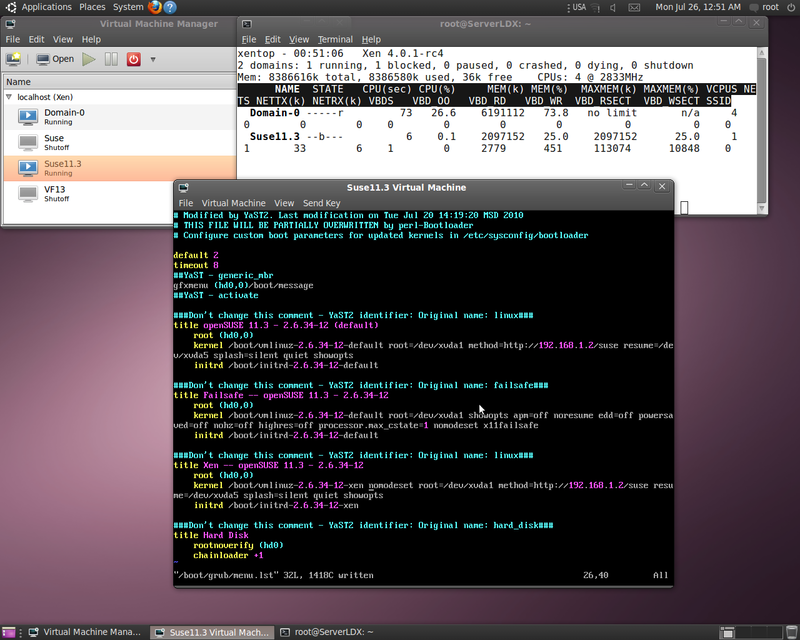 +echo "Info: ZFS & VHD patching"
dch -b --newversion $RELTAG-0ubuntu1 "Automated rebuild atempt for new upstream version." which been installed would build Hypervisor with required features , not present by default in Xen 4.0.1.
msg = "Bootloader isn't executable"
-        msg = "Disk isn't accessible"
+            msg = "Disk isn't accessible"
You are currently browsing the Xen Virtualization on Linux and Solaris blog archives for July, 2010.